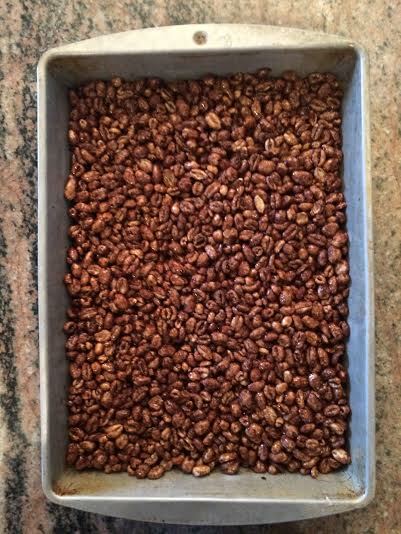 Puffed Wheat Squares. These delectable little treats seem to be dying out. Mind you, if you ask anyone outside of Western Canada, they may never have even known that they ever lived. Apparently, these are a uniquely Canadian thing?? I dreamt about these the other night, and when I went searching for a recipe, there were hardly any on Pinterest. The few that there were all seemed to be slightly different than what I recall as a kid, and upon reading any of the blogs that they were featured on, I learned that these are not widely known outside of rural Canada and very few parts of the U.S.
Makes sense I guess....... the last place I saw these were probably a rural baby shower or funeral lunch. Or a gas station along a highway on the way to my parent's house. Strangely enough, a little cafe near my old office in downtown Calgary used to have enormous ones, so maybe they aren't just a rural thing. Regardless, they are not exactly common. It's actually a little tricky to even find plain old puffed wheat at the supermarket amidst all of the sugary cereals. Melt the margarine over low heat in a large pot. 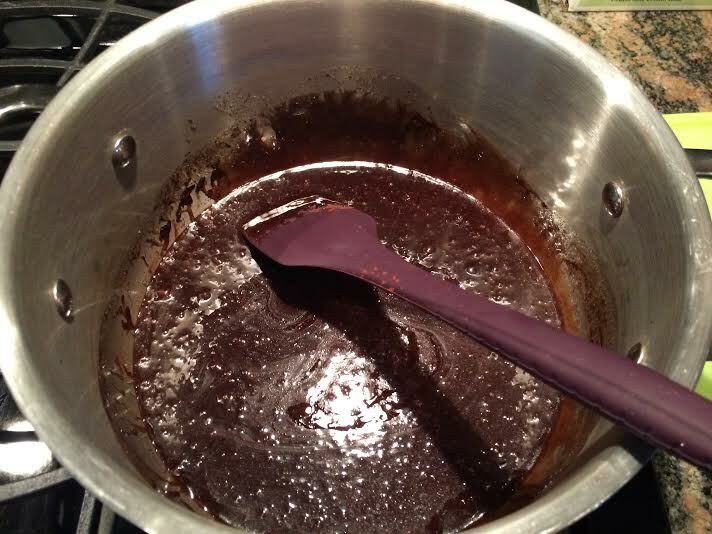 Add syrup, brown sugar, cocoa and vanilla and stir to combine. Increase heat to medium and stir just until bubbling. Try not to eat these in one sitting.